Understanding the history of Seorae requires one to travel back to the time of Korean monarchs of old, when royal families lived lavishly and demanded perfection in all aspects of life. This perfection also translated into kitchens, where only the best quality of ingredients and meat were prepared and served. One type of meat that stood above all others, was the Galmaegisal. Also known as "skirt meat", this part has the perfect combination of tenderness and juiciness, yet contain minimal amount of fat. A fully-grown pig or cow produces only 250 grams of such meat. 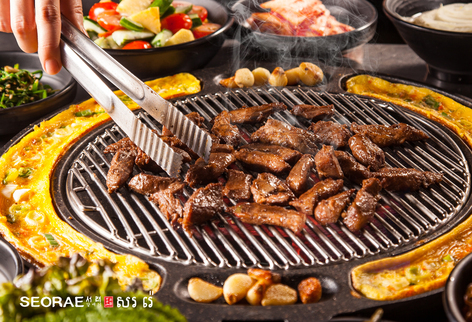 It is so good and so rare, that this meat was reserved only for the palates of monarchs and royal families. 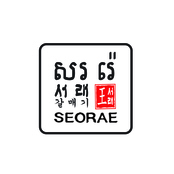 Established in South Korea in April 2007, Seorae Galmaegi started as the leading brand for skirt meat. Over 300 Outlets in the world such as Korea, China, Hong Kong, Japan, Singapore, Indonesia, Canada, Cambodia, Australia. 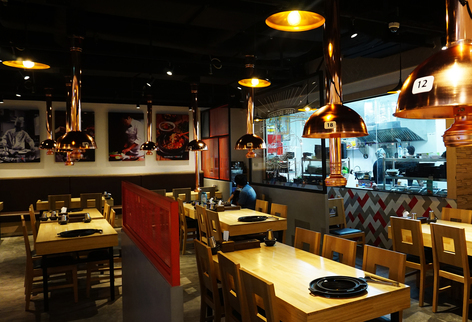 In June 2018 they opened their first barbecue outlet in Cambodia at AEON MALL 2 SENSOK CITY. Now you can also taste what Korean royal perfection is all about.